CONGRATULATIONS RACHEL on getting your DIE HARD Medal for the Anime Spot !. 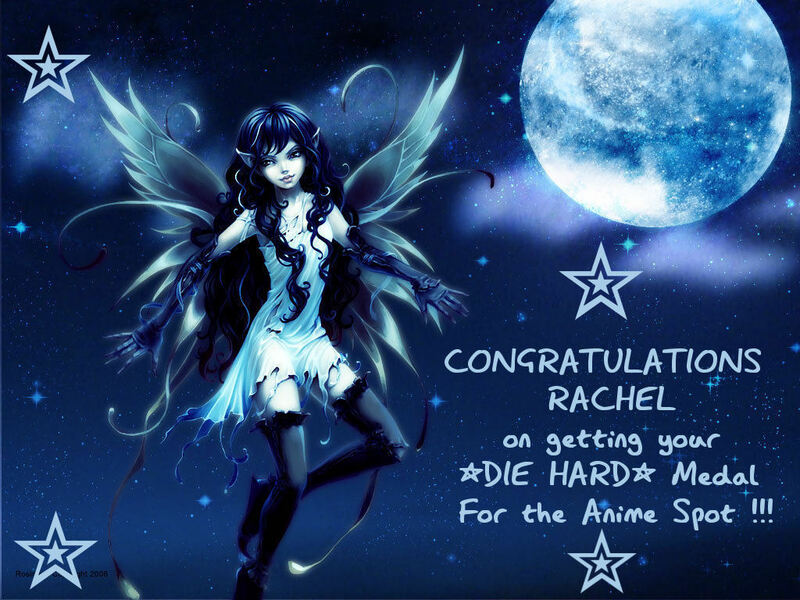 CONGRATULATIONS RACHEL on getting your DIE HARD Medal for the Anime Spot !. HD Wallpaper and background images in the funkyrach01 club tagged: sweet kind dearest friend rachel wallpaper.